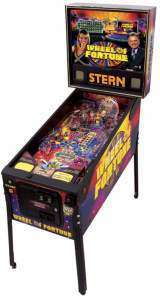 Coin-op Pinball published 12 years ago by Stern Pinball, Inc.
Wheel of Fortune © 2007 Stern Pinball, Incorporated. Based on the long running game show 'Wheel of Fortune'. 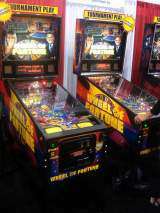 The backglass features American Wheel of Fortune host 'Pat Sajak', and assistant 'Vanna White'.